Red Wing Shoes is a manufacturer of working boots and shoes. The company's shoes were first sold in 1905 in Red Wing, Minnesota. Because Red Wing believes a retailer can best fit your foot and find boots that meet your needs, the company's boots are not sold on its website. Other Internet retailers sell Red Wing boots online. Go to the Red Wing website (see References) and choose from their extensive selection of boots. The Red Wing website is the best place to find information about all their boots, even though you cannot purchase boots on their site. Select the type of boots you are looking for from the menu on the right of the Red Wing homepage. 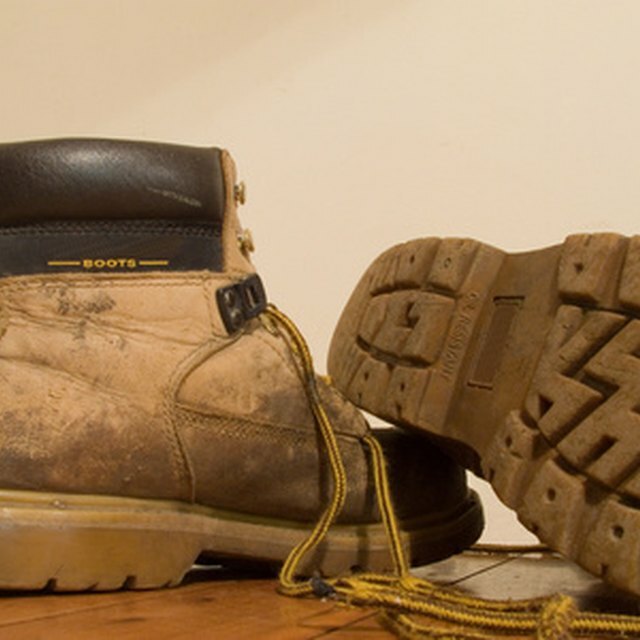 The selection of boots includes lineman/logger, insulated, motorcycle and steel toe. Choose an internet retailer that sells the type of Red Wing boots you want to purchase. You can find online shoe retailers by using the Find a Dealer, Store Locator feature on the Red Wing website. Zappos and Shoe Buy (both under References) are two large online shoe websites that carry an extensive supply of Red Wing boots. Zappos and Shoe Buy provide free shipping and return shipping to customers and allow you to return the shoes for a full refund if you do not like them or they do not fit. Consider buying Red Wing boot care products to care for your new boots. Clean boots last longer. Refer to the Zonk Shop link under Resources for a complete list of Red Wing boot care products that you can purchase online. You can clean your boots with the leather cleaner and condition them with boot oil. Red Wing Leather Protector will protect your boots from water and dirt. If the soles on your boots wear out, you can take them to a Red Wing retailer to have them resoled.